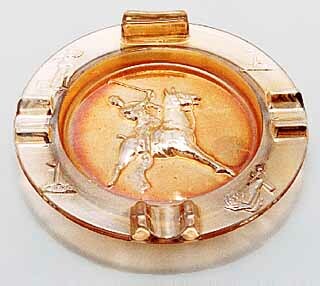 One of the more frequently seen ashtrays, Polo has an image of a polo player on the interior. They sell at auction for between $15 and $25. A depression era piece.